They were pretty straight forward to use, the instructions are clear and there are pictorials on the website. They also do videos on other products which is really helpful and good for inspiration. At first I found it a challenge to cut around the patterns ready to transfer because there is so much detail on the designs. This fiddliness (new word?) 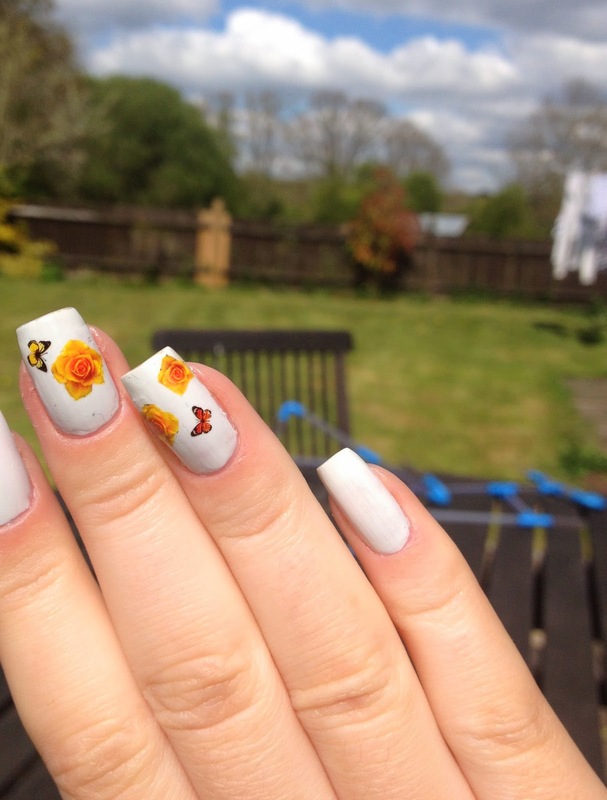 is worth it for the detail that is on show once they are on the nail though. 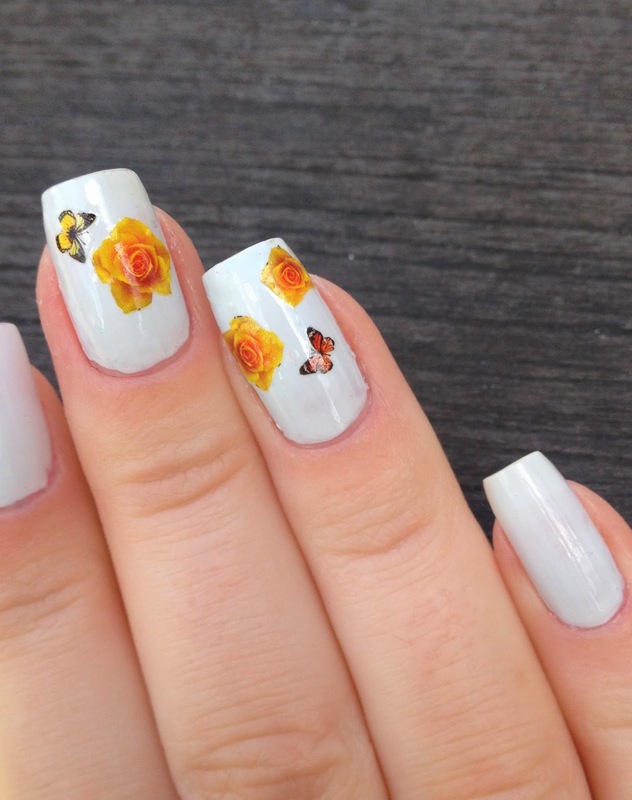 The background of the pattern is clear so even if the cutting isn’t perfect, it won’t show up on your nail, with any base colour used. 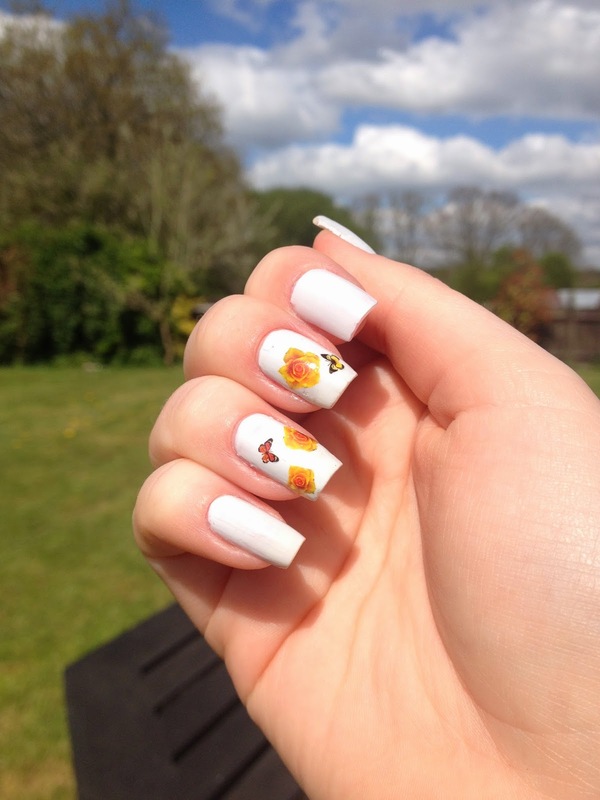 The base colour I used was OPI – My boyfriend scales walls. The stickers dry quickly and stay on well with just one clear top coat, so far they have stayed on really good. I have found that often other stickers come off really quickly but that doesn’t happen with these ones. I thought these stickers were perfect for the Easter weekend and for the spring season. Get your stickers with this link and 10% off coupon on my home page.